20170704. King Felipe VI of Spain with Pedro Sanchez. 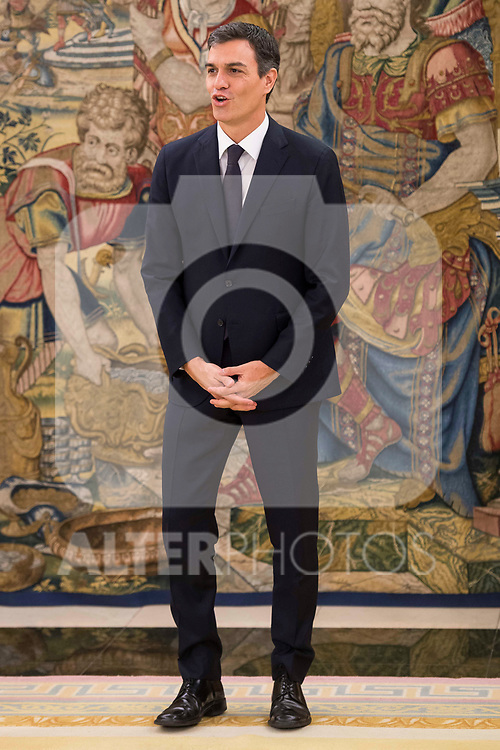 King Felipe VI of Spain receive in audience to general secretary of Socialist Party (PSOE), Pedro Sanchez Perez-Castejon at Zarzuela Palace in Madrid, July 04, 2017. Spain.